Privateer Profile: Random Text With The Gas Monkeys April 4, 2019 Without prompt, nor prior warning, we threw the three teammates in a completely random group text. Privateer Profile: Chris Blose January 17, 2019 After four years in arenacross, he returns right back in the 250SX West Region top ten. Gas Monkey Energy Partners With AJE Motorsports For 2019 August 28, 2018 Gas Monkey Energy has partnered with AJE Motorsports for the 2019 season, the team announced. 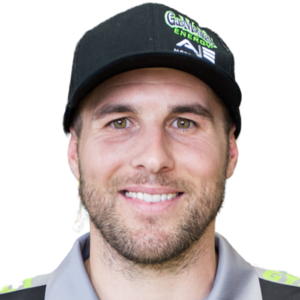 Jacob Hayes Clinches 2018 Amsoil Arenacross Championshilp May 5, 2018 AMSOIL Arenacross hosted the final round of the 2018 season inside Las Vegas' Orleans Arena. Babbitt's Online Monster Energy Kawasaki's Jacob Hayes was crowned a first-time 2018 AMSOIL Arenacross Champion. Daniel Herrlein Captures Arenacross Overall in Reno April 29, 2018 AMSOIL Arenacross hosted the penultimate round of the Race to the Ricky Carmichael Cup inside Livestock Events Center in Reno, Nevada. Chris Blose Retains Arenacross Points Lead With Portland Victory April 22, 2018 AMSOIL Arenacross hosted the third round of the Race to the Ricky Carmichael Cup inside Veteran's Memorial Coliseum in Portland, Oregon. Chris Blose Takes Over Points Lead with Win in Nampa March 26, 2018 GPF Babbitt's Online's Ryan Breece extended his Arenacross Lites West points lead, and Chris Blose took over the 250AX points lead after a phenomenal victory over Jacob Hayes. Justin Brayton Clinches Second Straight Australian Supercross Championship November 18, 2017 Despite finishing two laps down to eventual winner, and fellow American, Nick Schmidt, Penrite Honda Racing’s Justin Brayton clinched a second straight SX1 title. AUS-X Open Sunday Highlights November 14, 2017 Rockstar Energy Husqvarna's Jason Anderson captured the SX1 win on Sunday at the AUS-X Open in Sydney, Australia, over teammate Dean Wilson and Justin Brayton. Chris Blose Tightens Points Gap with Win in Denver April 23, 2017 After its second break of the 2017 season AMSOIL Arenacross' Race to the Ricky Carmichael Cup returned to the track on Saturday night for the penultimate round inside the Denver Coliseum. Chris Blose Gets First Win of 2017 In Atlanta February 25, 2017 Jace Owen finishes second. Gavin Faith Captures First Career Amsoil Arenacross Championship May 7, 2016 Faith clinches in Vegas. Another Overall Gives Faith Eight Point Lead Heading to Finale April 24, 2016 Recap of Arenacross.